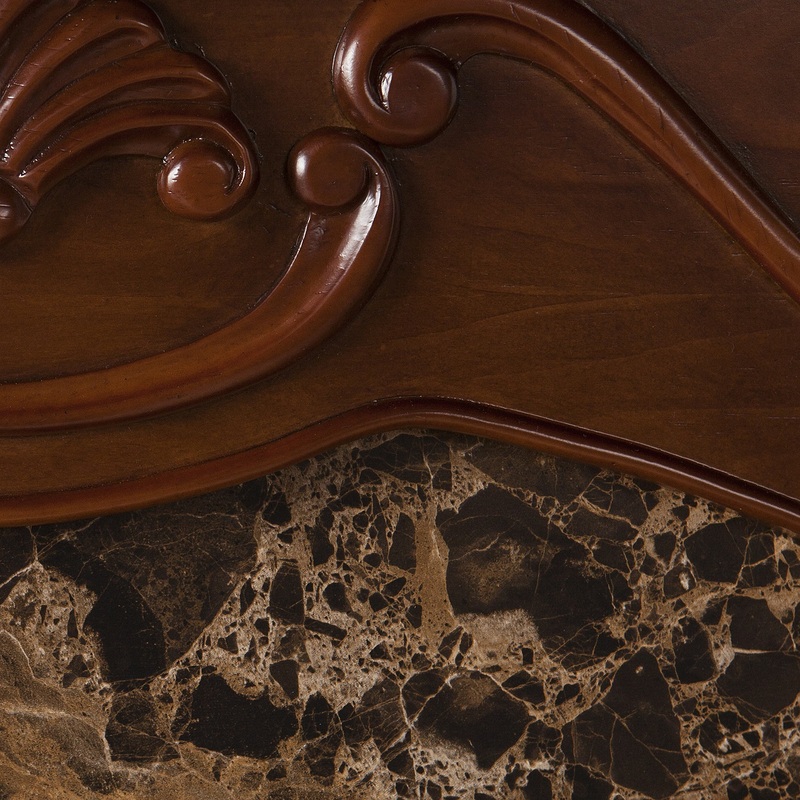 A beautiful Victorian design and faux marble combine to create this timeless design; add the beauty and romance of a glowing fire and you have a versatile electric fireplace that will complement any room in your home. 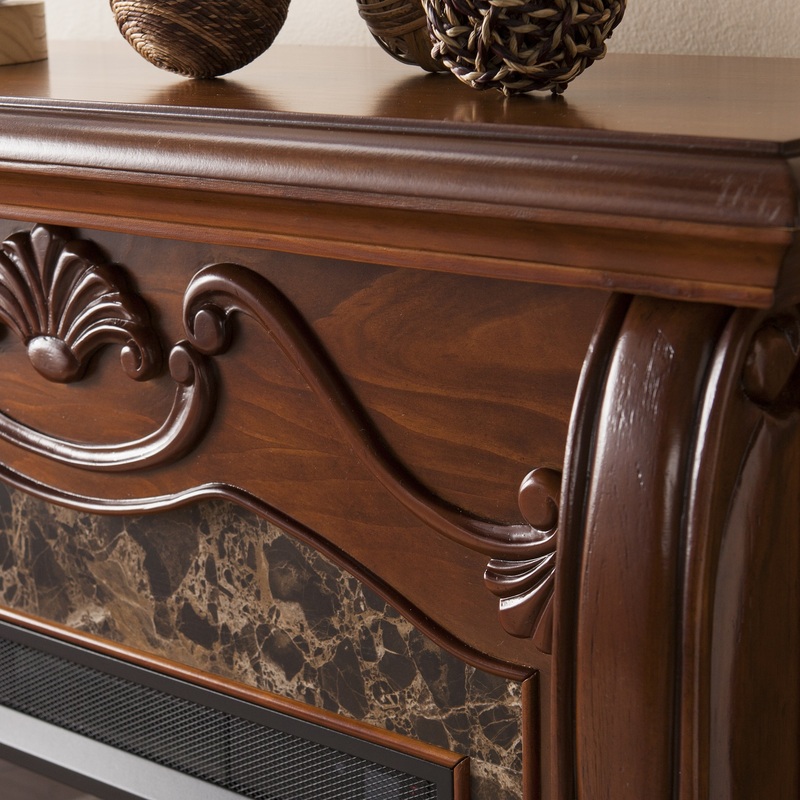 This walnut finish fireplace features traditional pilaster wood corbels, an intricate center medallion, and luxurious faux marble. The firebox has realistic, multicolor flickering flames and glowing embers with an interior brick design for a more lifelike look. 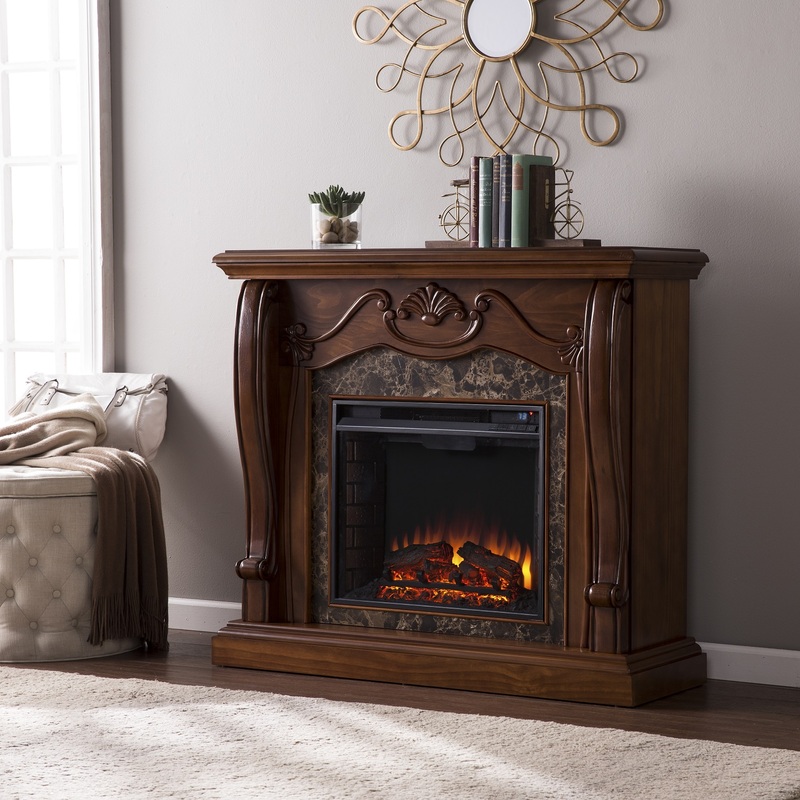 This transitional fireplace is great for the living room and bedroom, and even adds a warm touch to the dining room or home office. This electric fireplace features energy efficient LED and requires no professional installation, making it a cost effective way to upgrade your living or media room. Easy to use remote control offers 4-way adjustability to warm the room conveniently. Safety features include automatic shutoff and glass that remains cool to the touch. Turn off the heat to enjoy the fireplace ambiance year round!